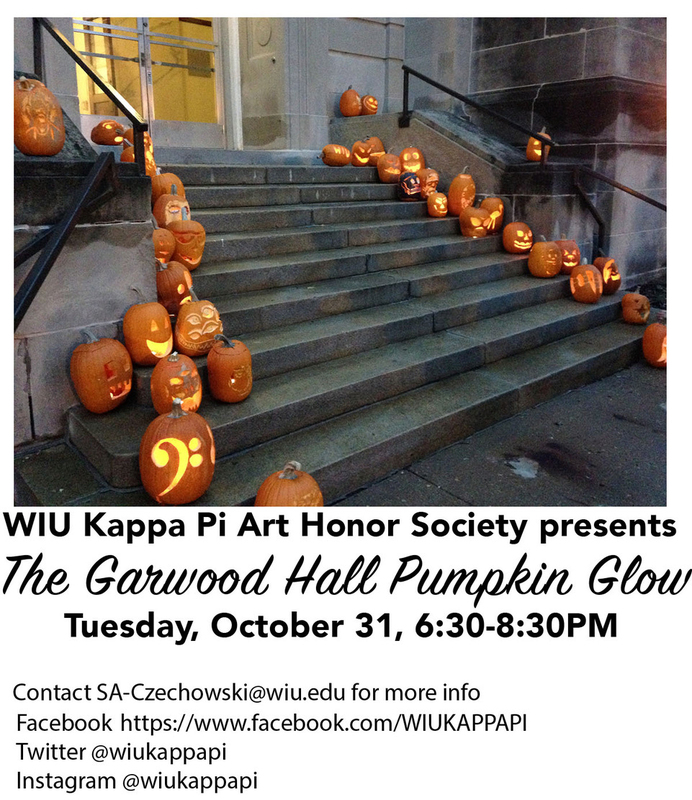 MACOMB, IL -- The Western Illinois University Kappa Pi Art Honor Society will host the Garwood Hall Pumpkin Glow from 6:30-8:30 p.m. Tuesday, Oct. 31. Numerous pumpkins will be carved, lit and displayed in front of Garwood Hall. For more information, contact SA-Czechowski@wiu.edu.